I am happy to join the Seventh Day Adventist youth today as we join hands in donating blood with the sole aim of saving a life of someone who is suffering and helpless in a hospital ward. I appreciate the presence of the Chief Justice and the President of the Supreme Court of Kenya, Justice David Maraga, thank you very much Sir for finding time out of your busy schedule to join the young people and to support blood donation activity today. 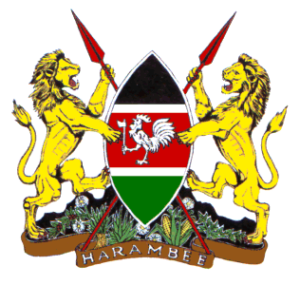 Ladies and Gentlemen, The Kenya National Blood Transfusion Service (KNBTS) was established in the year 2000 under the Ministry of Health. Its mandate is to collect, test, process and distribute blood and blood products to all transfusing hospitals in Kenya. KNBTS has six Regional Blood Transfusion Centres namely Nairobi, Embu, Nakuru, Eldoret, Kisumu and Mombasa and 21 satellite stations. The satellite stations are located in Thika, Meru, Nyeri, Garrisa, Kitale, Lodwar, Bungoma,Busia,Migori,Kisii,Kericho,Narok,Nandi,Machakos,Voi,Malindi,Lamu,Kitui, Wajir,Naivasha and Kwale. We at the Kenya National Blood Transfusion Service have for the last 18 years endeavored to deliver quality and safe blood service to the people of Kenya and we are committed to even doing better in the coming days. This however could not have happened without the much valued cooperation and partnership of the various stakeholders and partners like you. Timely availability of blood is an important component in the efforts to save patients from unnecessary deaths. Blood transfusion saves lives and improves health, but many patients requiring transfusion do not have timely access to safe blood. The need for blood transfusion may arise at any time in both urban and rural areas. The unavailability of blood has led to deaths and many patients suffering from ill-health. Today we celebrating the partnership with the Seventh Day Adventist Church, the Kenyatta National Hospital and the Kenya National Blood Transfusion Service where the three entities have made a resolve to counter human suffering through rolling up our sleeves and donating blood. This is an altruistic act since blood is the only gift one can give without expecting something back. These kind of interventions are driven by the growing need for blood in hospitals and other health care facilities and the need to ensure that Kenyan are secure in the event of suffering illnesses that may require blood transfusion. An adequate and reliable supply of safe blood can be assured by a stable base of regular, voluntary, unpaid blood donors. These donors are also the safest group of donors as the prevalence of blood borne infections is lowest among them. In Kenya, 2 of every 3 units of blood are transfused to mothers and children. It is however depressing to note that Kenya has a relatively high maternal mortality ratio compared to the western world at 362 maternal deaths per 100,000 live births. The leading cause of maternal mortality is bleeding just before or after childbirth or due to a miscarriage, induced abortions and other pregnancy related complications such as tubal pregnancy. Indeed, there are many other reasons for transfusing blood. 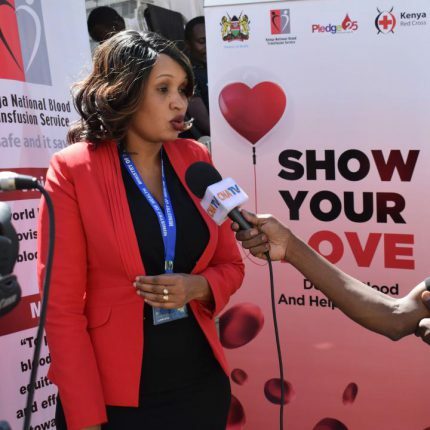 Kenya needs about 450,000 units of blood annually, last year the Kenya National Blood Transfusion service collected a total of 164,275 units of blood, representing 91.3% of the annual target of 180,000 units. According to the World Health Organization (WHO) standard for Kenya to claim blood sufficiency we need at least 1% of the 45 million Kenyans to donate blood once in a year, this would give us 450,000 units of blood. Sufficient and safe blood supply is key to a strong health system of any country. Kenya is endowed with many healthy people who can donate blood. It is therefore unacceptable to continue watching children and mothers die due to lack of blood. It is incumbent upon us as Kenyans to be patriotic and develop a culture of regular blood donation. The act of donating blood is therefore supposed to be a process in life rather than an event. In our efforts to improve the blood sub – sector in the country, the Kenya National Blood Transfusion Service has adopted various strategies including targeting the adult blood donors to avoid situations of perennial blood shortage during school holidays occasioned by the continued overreliance on Secondary Schools. We are also encouraging walk-in blood donors to our facilities across the country as a measure of reducing the cost of collecting blood. It is important to note that currently the Kenya National Blood Transfusion Service is grappling with the imbalance between first time donors and repeat donors. Last year 77% of those people who donated blood were first time donors while only 23% returned for a repeat donation. Repeat blood donors form the greatest asset of the blood sub-sector and this is the only sure way of sustaining efforts as this group of donors is safe and committed. Since repeat donors voluntarily walk in to our clinics, if enhanced this would significantly reduce our cost of doing business. The Kenya National Blood Transfusion Service is promoting repeat blood donation culture through formation of blood donor clubs in schools and out of school, including Pledge25 Kenya where members commit to donate blood at least 25 times in their lifetime. In this regard I urge all young people in this gathering to take the cue and either form such clubs or join the existing ones. I am happy to note that the activity we are participating in today has been championed by the young people from the Seventh Day Adventist Church, this group of people are our major target as if one start donating blood when they are young they can engrain that habit until they are of old age thus being of great help to our society. Finally, Ladies and Gentlemen, let me once again thank you most sincerely for coming and partnering with us during this important event. I am delighted to be part of this event that seeks to mobilize blood donors to donate blood during the Bleed for the Throne blood donation drive. Today is yet another day when we are celebrating solid partnership with the Kenya Red Cross Society and Multi-Choice in our endeavor to alleviate human suffering through blood donation. Blood collection is what we do on 24/ 7 basis and we are happy to have new partners like Multi-Choice who I believe are coming in to support a blood donation activity for the first time. In Kenya 2 of every 3 units of blood are transfused to mothers and children. 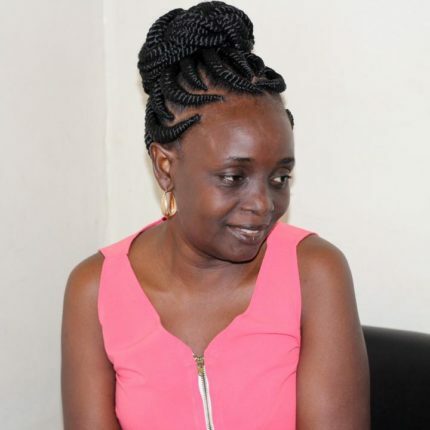 It is however depressing to note that Kenya has one of the highest maternal mortality rates worldwide at 362 maternal deaths per 100,000 births that translates to about 20 women dying every day from childbirth-related complications. The leading cause of maternal mortality is bleeding just before or after childbirth or due to a miscarriage, induced abortions and other pregnancy-related complications such as tubal pregnancy. It is important to note that about 60% of the blood collected by the Kenya National Blood Transfusion Service is transfused to mothers and children. Every 10 minutes about 7 Kenyans need blood and are at risk of dying if it is not available. Kenya needs about 450,000 units of blood annually, last year the Kenya National Blood Transfusion service collected a total of 164,275 units of blood, representing 91.3% of the annual target of 180,000 units. According to the World Health Organization (WHO) standard for Kenya to claim blood sufficiency we need at least 1% of the 45 million Kenyans to donate blood once in a year, this would give us 450,000 units of blood. The Kenya national blood transfusion service is working with various stakeholders and development partners to address blood shortage and to seek more innovative strategies for sustainable supply for safe and adequate blood for transfusion. I am happy to note that the Kenya Red Cross have been supportive especially during the two recent events including Dusit2 terror attack in Nairobi and the show your love blood donation campaign last month. Currently we are serving 500 transfusing hospitals nationally with blood and blood products. These facilities are public, private and faith based. We have also stepped up our haemovigilance capacity to guarantee safety from our end and to the facility. I am reliably informed that this blood donation drive is targeting to collect at total of 1,000 units of blood in the two days, lets us all join hands by mobilizing donors and also by rolling up our sleeves to donate for the greater common good for our people. Finally Ladies and Gentlemen, I would like to appreciate blood donors, development partners and stakeholders who have over the years stood with us in our effort of improving access to health care for Kenyans. We once again appreciate the Kenya Red Cross and Multi-choice for their kind gesture today.